Bicycle Accident Attorney in Dallas TX | Juan Hernandez Law P.C. Cyclists have just as much right to the road as motorists, yet surprisingly few motor vehicle drivers are aware of these rights. As a result, they may driver recklessly around cyclists and fail to share the road. This can spell catastrophe for bikers and cyclists. If you or someone you love is injured in a bicycle accident in Dallas, you need an experienced personal injury attorney on your side. From the moment you are injured, your bicycle injury lawyer will go to work fighting to protect your rights and ensure that you receive the maximum compensation for your injuries. 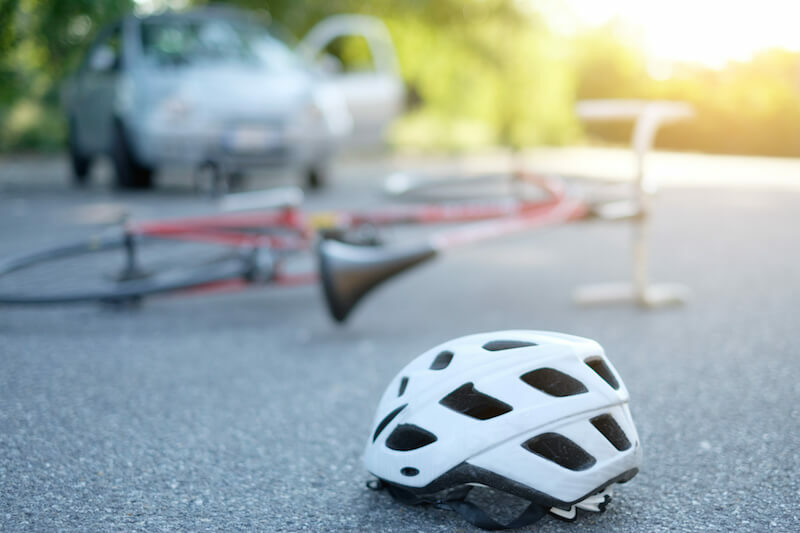 At Juan Hernandez Law P.C., our Dallas bicycle accident attorneys have successfully represented bicycle couriers, bicycle commuters, and recreational cyclists who have been injured by negligent drivers. Due to the nature of these injuries, cyclists who are involved in a traffic collision may find their entire life turned upside down. They may be unable to work, provide for their family, enjoy their hobbies, or even ride a bike again. Exorbitant medical bills, rehabilitation expenses, and long-term disability are just a few of the costs that can cripple an injured cyclist and his or her family. While bicyclists have an obligation to follow the laws of the road, so do motor vehicle drivers—and all motorists must yield the right-of-way to a bicycle when appropriate, just like any other vehicle. Unfortunately, motor vehicle drivers do not always watch for cyclists on the road, and distracted driving can lead to horrific bicycle accidents. When this occurs, insurance companies will often try to pin the blame on the cyclist—citing that they swerved into oncoming traffic or into the vehicle’s path. Sadly, this is far from the truth and an experienced Dallas personal injury attorney can investigate your accident closely to determine who is ultimately responsible for your accident—and your injuries. At Juan Hernandez Law, we can help you file the necessary claims and ensure that you receive all of the compensation to which you are entitled. If a negligent driver in Dallas, Fort Worth, Houston, Austin, San Antonio, or anywhere in the State of Texas has injured you or someone you love, it is critical that you contact one of our experienced Personal Injury Attorney immediately. We will fight the tough fight—so you can focus on your recovery. Contact us today for a free consultation at 1-888-329-1254 | Local 214-712-2367 to schedule a FREE EVALUATION with one of our attorneys.